You shouldn’t have to choose between getting your exercise and ensuring your child gets theirs, too. Our Kid’s Time attendants provide plenty of activities, games and crafts to get kids moving, playing and making new friends. Let us wear them out while you work out. 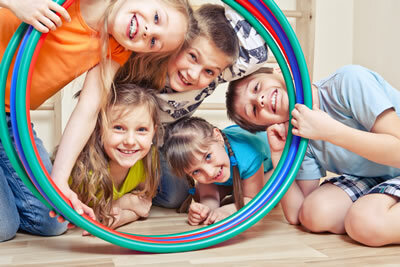 We have a video feed to a TV on the main floor so you can watch your kids while you workout.